Spanning the Seasons of the Tallgrass, each story in this series reveals the struggle of the people who live there and the dreams they have for the land until they come full-circle in a never-ending cycle, just as man comes full-circle in his understanding of God. 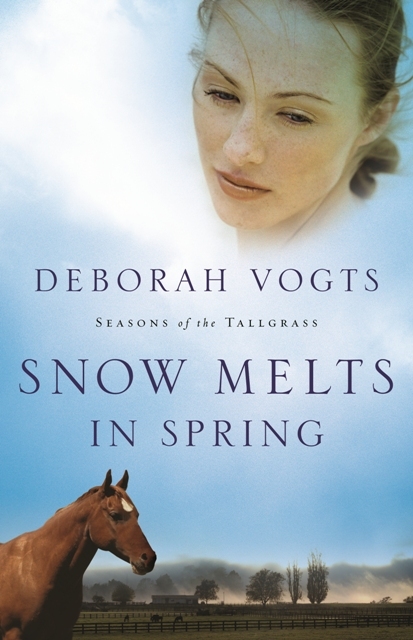 "Deborah's books are part love story, part family saga." When an aged horse is severely injured on a gravel road in the Flint Hills of Kansas, country veterinarian Mattie Evans accepts the challenge to save him. But she finds herself in the middle of a longstanding feud between the horse’s owner, pro quarterback Gil McCray, and his ailing father—who is also her dear friend. As the snow melts in spring, Gil’s return to his estranged father’s ranch brings a chance for new beginnings and reconciliation, but when he falls in love with Mattie, he must face the truths that haunt him or run from his past. Meanwhile, Mattie encourages Gil to return permanently to Kansas rather than retire in California. Their love collides when Mattie’s sister arrives on Gil’s doorstep, causing Gil to come to terms with the jealous acts leading up to his brother’s death and seek forgiveness from those he loves most. Can he accept God’s forgiveness, and will that be enough to make him stop running from his memories of home? In turn, if Mattie forgives, she’ll be forced to choose between the man of her dreams and the land she dearly loves. When opposites attract, sparks fly--like an electrical malfunction. That's what happens when former rodeo queen Natalie Adams meets the new pastor in Diamond Falls. 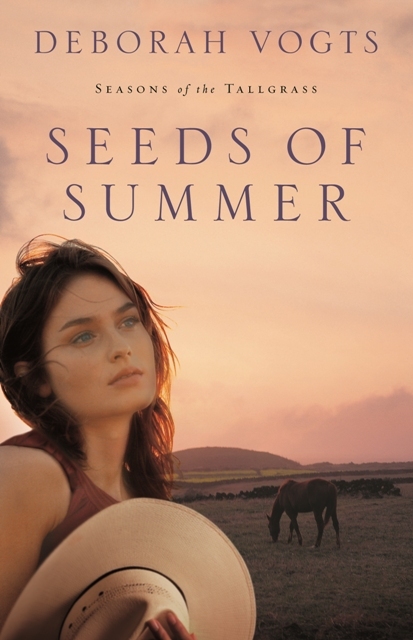 A heart-warming contemporary romance set in the Flint Hills of Kansas where a former rodeo queen abandons her dreams in order to care for her deceased father’s ranch and her two half-siblings, only to realize with the help of a young new pastor that God can turn even the most dire circumstances into seeds of hope. Upon the death of her father, Natalie returns to the Flint Hills to raise her two half-siblings and run the family ranch, giving up her dreams for the future. She soon realizes her time in college and as Miss Rodeo Kansas is not enough to break the bonds that held her as a girl. Jared Logan, a new pastor in Diamond Falls, is set on making a good impression to his first congregation, but finds that change doesn't come easy for some people. In fact, most in his congregation are set against it. Natalie and her troubled family provide an outlet for his energy and soon become his personal mission project. Having raised her stepbrother and sister from an early youth, Natalie's self-sufficient nature isn’t inclined to accept help, especially from a city-boy do-gooder like Jared Logen. Though attracted to him, there's no way she'd ever consider being a pastor's wife. Bible studies and bake sales just aren't her thing. Jared repeatedly comes to Natalie’s rescue, forcing her to see him with new eyes. At the same time, Jared’s plan to plant Christ’s word in Natalie’s heart backfires when he loses his own heart to this wayward family. When problems arise in his congregation, he must face his greatest fears—of letting down God, his congregation, or those he loves. His time with Natalie has shown him the importance of standing by those you love, a lesson he chose to ignore in order to please his father years ago. This is put to the test when Natalie faces a battle of custody of her half-siblings against the mother who abandoned them twelve years ago. Natalie’s fight for the children turns into a fight for custody of her heart as she learns the true meaning of unconditional love. In turn, Jared must decide which dreams are his own—and whether Natalie is part of those dreams.